It’s spring again — in the Northern Hemisphere, anyway. Which means it’s around that time of year when people like to start fresh; you change the batteries in your smoke detectors, sweep up those mutated dust bunnies hiding behind the sofa, finally throw out the Christmas leftovers. The usual. Amongst all the unsavory tasks on your checklist should be a spot for your camera. I doubt anyone purposely neglects camera maintenance; it’s so easy to plop down in front of the computer after a day of shooting, eager to dump your memory card of all its images so you can process and admire them, and just leave your camera sitting alone in a corner with no concern for what its been through during the day. After months of this routine, your camera surely deserves a good looking-over. Cleaning the outside of your camera actually has more than just aesthetic value. The dirt and grime outside the camera could very easily get inside the camera, particularly while changing lenses. How dirty the body of your camera may get will depend on your shooting environment, of course. If you’ve done a lot of photography near the ocean, for instance, then you are exposing your camera to sandy grit and saltwater spray — both of which you will want to deal with sooner rather than later — but generally, you don’t need to do anything special, just dust the outside with a microfiber cloth or a blower. Do this before removing the lens or body cap so that you don’t transfer dust to the inside. The Sensor: Be Careful Here! Most newer dSLRs are equipped with self-cleaning sensors that shake off dust by vibrating each time the camera is turned off and on. It’s a great idea, but it isn’t always as effective as it should be. The problem is, cleaning the sensor yourself can be inconvenient, tedious and even risky. There is no single “best” way to get accomplish this; if you plan to clean your camera’s sensor on your own, do some research and discover a method you’re comfortable with. 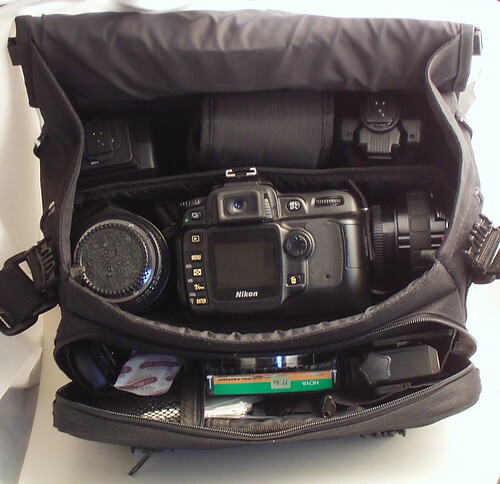 You will likely need a few supplies, such as a blower, a brush, and a special solvent made for cleaning camera sensors. Again, it can be a tricky process, so don’t get in over head. You always have the option of taking or sending your camera in for a professional sensor cleaning. An older photographer friend of mine loves sharing the story of a young student photographer who once complained that all his images were turning out “hazy” and he had no idea why. 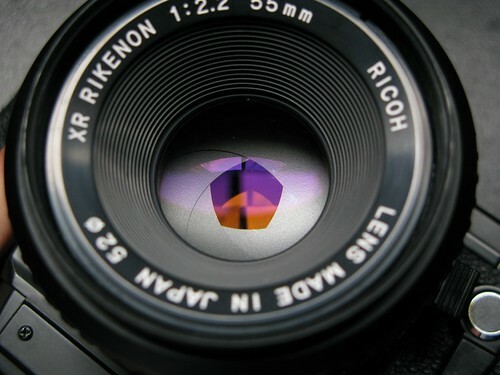 After going through a few routine questions about the student’s camera settings, the wiser, more experienced photographer took hold of his pupil’s camera, popped off the lens cap, and was greeted by a lens whose front element was coated in fingerprints and dirt. The importance of cleaning your lenses can’t be emphasized enough. And it’s a relatively simple thing to do. Apart from cleaning the outside of the lens, you should also take a microfiber cloth to the lens mount. 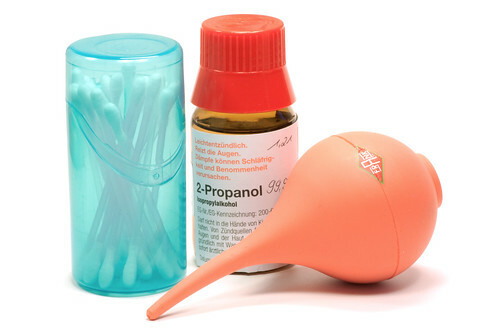 The contacts can be cleaned using the often recommended pencil eraser. Now on to the glass elements. You will want to gently brush the surface of the glass or give it a few bursts of air to remove as much dust as possible; do not use a dry cloth, as you run the risk of scratching the glass. You can then use a soft, non-abrasive cloth and a cleaning solution or pre-moistened lens wipes to finish the job. If you use any type of filter on a regular basis, you may be able to bypass cleaning the front of your lens, but you will need to clean the filters. Just use the same process as you would to clean your lens glass. Take a considerate glance at whatever accessories you use (remote cable, flash, etc.) and the ports to which they connect. Be on the lookout for rust or any buildup of gunk. Having one of your accessories fail to work properly in the middle of a shoot could be just as bad as having your camera fail. Don’t neglect to keep your accessories in prime condition. Clean Your Camera Bag Too! Understand that it is just as important to keep your camera bag clean as any other piece of equipment you own. What good is it to store clean gear in a dirty bag? Over time your bag is going to accumulate dust, dirt, sand, bugs, leaves, and all sorts of tiny leftovers from all the places it visits. So it’s a good idea to vacuum it out before putting all your recently cleaned gear back in it. The batteries you use for your camera gradually lose their ability to hold a full charge, so you will need to replace them occasionally. Keep track of the health of your batteries and always carry a spare or two. Or three. You don’t want to find yourself out in the world with one battery; a dead battery effectively means you don’t have a camera. So, while this is not a cleaning tip, it is a vitally important component to any maintenance check. And if, by chance, you do need to clean the battery contacts, just pick up the same eraser you used to clean the lens contacts. There’s an automated carwash that I visit much less often that I should; after it finishes washing and rinsing and waxing and rinsing again, it leaves you with a brightly lit message proclaiming that “a clean car is a happy car.” The same thing could be said of your camera. You’d be wise to clean and inspect it more often than once a year; from today on, try to make camera maintenance a regularly scheduled task.